The cousins make a short walk up the hill and take a rest on a bench. “They deal with the death quite discreetly…” Hans starts to wonder about dying. 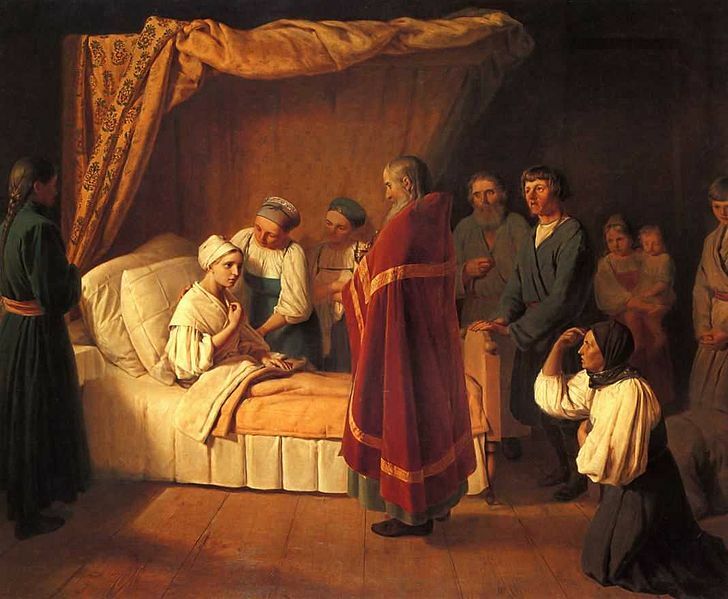 Joachim recounts the Hujus girl story: the misery and terror of dying. The young girl sees the approaching priest who is going to administer her the viaticum as a personification of death and is terrified. Hans finds that there is something respectable in someone dying and that the moribund deserves respect. Joachim and Behrens find that there is a certain way one should behave when dying. Joachim’s coughing and the fact that the stroll in the meadow is taxing for him reminds us that he is very ill.
Hermine Kleefeld whistles at the boys with her pneumothorax.